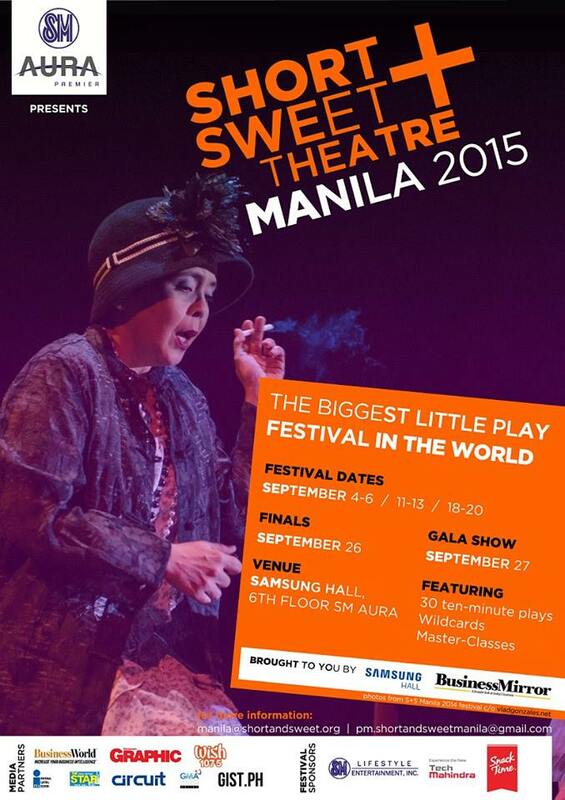 The biggest little play festival in the world is here in Manila once again! On its second year, Short + Sweet Theater Manila will be showcasing 30 ten-minute plays, Wildcard entries and Master-Classes on September 4-6, 11-13, 18-20, 2015 at Samsung Hall, 6th floor at SM Aura Premier Mall, Taguig City. Finals will be held on September 26, while Gala Show will be held on September 27. Experience theater in 10 minutes or less! 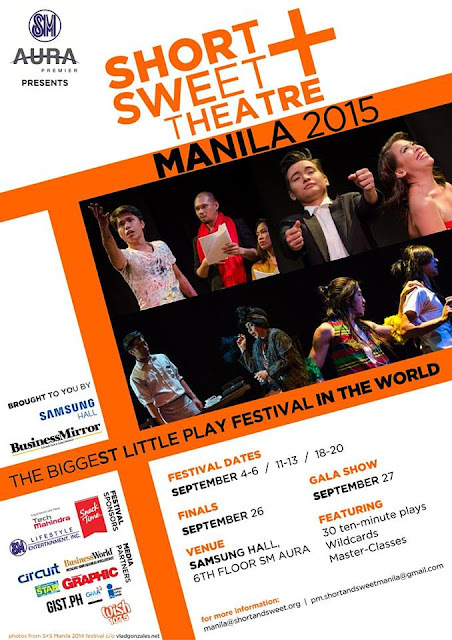 The Sydney program of S+S is now the biggest short play festival in the world. Other cities to host annual festivals include: Mumbai, Melbourne, Singapore, Canberra, Kuala Lumpur, Newcastle, Chennai, New Delhi, Dubai, Bengalaru, Penang, Brisbane. Manila is celebrating the festival on its second year this 2015.